Norway – See the Northern Lights (it’s a promise!) on a Hurtigruten Cruise. If you’ve ever dreamt of seeing the Northern Lights in all their glory, a Hurtigruten voyage along the Norwegian Coast is likely to squeeze onto your travel bucket-list. And with the launch of three new expedition ships between 2019 and 2021, now has never been a more exciting time to book a Norwegian Coast cruise with Hurtigruten. 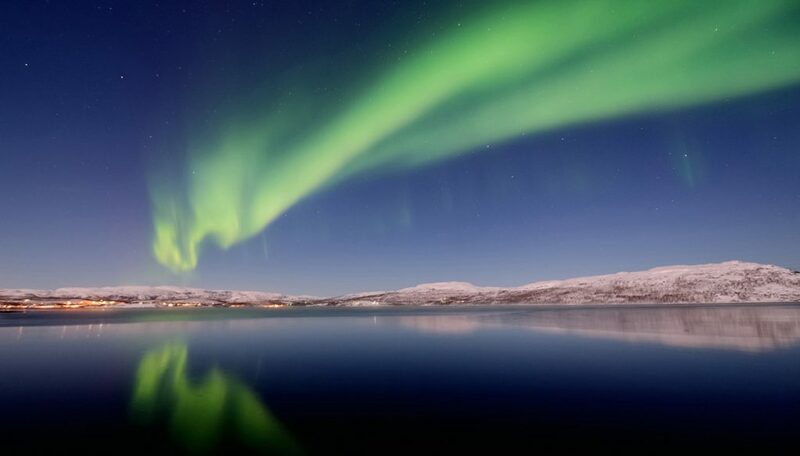 Hurtigruten are so confident that you’ll see the Northern Lights during your 12-day voyage in Norway that if you don’t, they’ll give you another cruise free! And so far, the odds are working in their favour. The Astronomy Voyage has a 100% sighting rate so far. Hurtigruten cruises sail directly below the Aurora zone, and 22 of the 34 ports are within the Arctic Circle. At sea there is less ambient light from settlements, meaning that visibility is the clearest it can be. The on-board astronomer makes announcements, so you never miss a sighting or spend too long waiting out in the cold. The Northern Lights often appear several times during a cruise, in different locations and at different times. What is there to see on a Norwegian Coastal cruise? Norway’s coastline is famously complex – no one knows quite how long it is – and can only be truly appreciated from the water. Once the ship passes through the Arctic gateway of Tromsø, the coast splinters into twisting archipelagos and dramatic fjords fringed by towering mountains. Beyond the wilderness outpost of the Lofoten Islands, the ship must negotiate an intricate network of inlets and isles. This is one of the most beautiful stretches of the Norwegian coast. 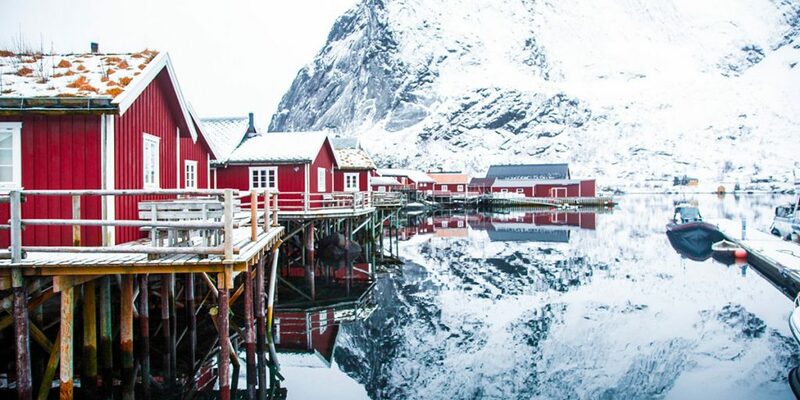 Bright red and yellow traditional houses provide a welcoming dash of colour to these stunning landscapes. Excursions and guided activities from the ship include hiking, whale watching, thrilling husky dog sledge rides and spider crab fishing expeditions. In Norway, the bountiful coastline provides some of the country’s headline seafood, which you’ll be able to sample onboard. The Gjesvaerstappan Reserve is home to one of Europe’s densest populations of seabirds, including puffins, kittiwakes, razorbirds and Arctic sea ducks including the rare Steller’s eider. The Hurtigruten Expedition Team give themed lectures and presentations every day and are passionate about helping you make the most out of your stay in Norway. Astronomy Voyage: onboard lectures and guided expeditions from astronomers including John Mason MBE. Places for 2019/20 are already limited, so don’t delay. 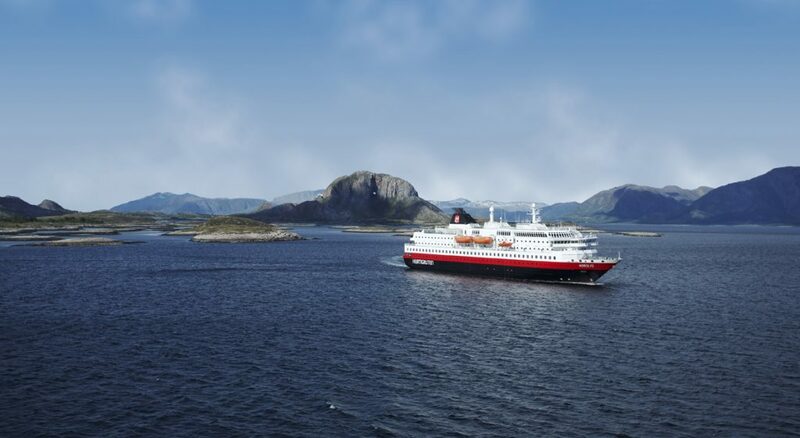 The name Hurtigruten means ‘Coastal Express’ in Norwegian. Most of the 11 vessels are working ships, under contract with the Norwegian government since 1893. As well as visitors, Hurtigruten ships deliver mail and cargo to locals year round, bringing fresh seafood south and taking vegetables north. On the 12-day voyage, there are 34 stops in total, ranging from 15-minutes to several hours. As a result, the ships stop at places no other cruises go. One of the most compelling reasons to book a cruise this season is the arrival of 3 new expedition ships, arriving between 2019 and 2021. The Roald Amundsen joins the fleet in Spring 2019, followed by Fridtjof Nansen in 2020 and an unnamed newbuild in 2021. The new hybrid technology ships are a world-first and will cut emissions by 20%. Hurtigruten also has the ambition to become the world’s first plastic-free shipping company. Having already banned single-use plastic, they intend to remove plastic altogether from their supply chain over the coming years. This is all part of their deep commitment to protecting and preserving the destinations they serve, which are some of the most spectacular but fragile places on earth. Feeling inspired? 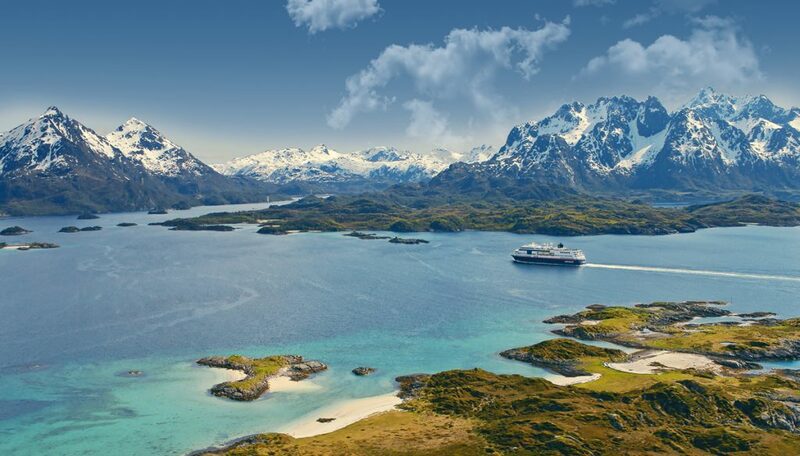 A 12-day Norwegian Coast voyage with Hurtigruten starts from £1519 per person departing from Glasgow. All routes involve flying, as the Norwegian Coast cruises depart from Bergen. Some departures have charter flights from the UK included. Hurtigruten cruises and expeditions can take you to warmer climes too, including The Caribbean, Central and South America. For hardy explorers, follow in the footsteps of great adventures who attempted to cross through the Northwest Passage from Greenland to the Pacific.